Within special transit corridor zones, São Paulo is replacing the old parking minimums with maximums. The maximums have an interesting feature: they are flexible! A developer CAN choose to provide more parking than the maximum. But doing so will require payment of a fee. He points out that "maximums" is not quite the right word. However, with no concise alternative, I can see why reports on the issue decided to use it. The description above is OK for a rough idea but parking policy wonks may want a deeper understanding. 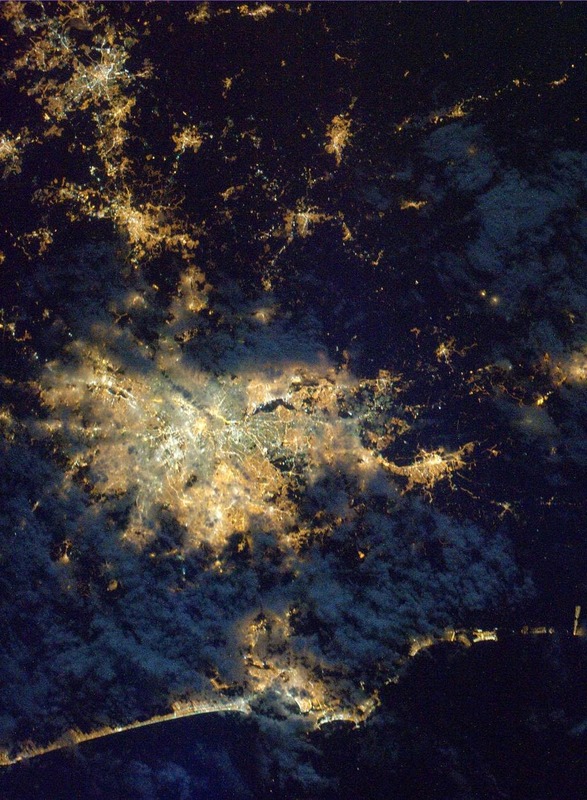 "Greater São Paulo at night" by NASA/Paolo Nespoli - Flickr.Licensed under Public domain via Wikimedia Commons. But what the article calls the "maximum" number [of] parking spaces is actually the amount of spots that are exempt of the paid FAR. [...] Whatever exceeds that "maximum" is counted as built area as much as anything else. Recently we've been implementing what we're calling [...] "paid allowance for building rights" - so the basic FAR has been set to 1 in most of the city and you can reach up to a maximum FAR in certain areas (up to 4 around transit corridors in SP). Previously, even if developers built more parking than the parking minimums required, none of that parking counted towards the floor area total used in calculating the Floor Area Ratio (FAR) (called FSI in some places). Now, for the first time, there is a limit on how much parking is exempt from counting as floor area. Developers can still build parking beyond this limit, but it will count as floor area. This extra parking attracts a fee ("paid allowance for building rights"), just like any kind of built area in excess of the basic FAR for the relevant area. This is actually similar to the rule in Singapore. However, in Singapore it is simply the minimum requirement that defines the limit on how much parking is exempt from counting as floor area. have good reason to view the parking standards as maximums and not just as minimums. Why? Because only the required parking is exempted from counting as part of their allowed floor area (gross floor area, GFA) under the development controls (zoning). This means that if they build any more parking over and above the minimum requirements, they will have to reduce something else. And those ‘something elses’ (like shops, offices, hotel rooms, etc) earn much more revenue than parking (at least for now). So developers in Singapore apparently don't usually build any more than the minimum amount of parking. By contrast, from Rafael's explanation, in São Paulo the amount of parking that is exempt from counting as floor area might be different from the minimum requirement. Presumably the exempt-parking limit is higher than the minimum parking requirement. How important is exempting parking from floor area calculations? How common is limiting the parking that is exempt from counting as floor area (like in São Paulo and Singapore)? I suspect that this seemingly esoteric choice may be quite powerful. I think it may deserve greater attention. And it needs a name, to give us a concise way of talking about it. "Parking floor-area exemptions"? Hmm. If you have read this whole post, you are probably quite a parking policy wonk! So, what do you think? So thanks again, Rafael, for the detailed clarification. If parking is included in the FAR then it is essentially brought within the regular real estate market, and will only be supplied if it brings in more money than other uses of the space. Which seems like a great thing. Exempting parking from inclusion in the FAR is a massive subsidy to those that drive, paid for by everybody. Who would think that's good policy? Also, there's a few things about this. The first is that its effect is massive - including parking in the FAR might cut parking supply virtually to zero for new developments. The second is that it is so obscurely technical that any changes to the regulations around it could slip through without arousing political opposition. The third is that developers will not like a change to the regulations if it means they can build the same amount of shops/apartments/whatever.as before, but now with zero parking. The way to get the developers onside would be to increase the FAR to cover the space that used to be given to parking, and then include parking within that new extended FAR. The fourth is that extending the FAR IS likely to arouse political opposition. Thanks for your comments! I have been thinking along similar lines. 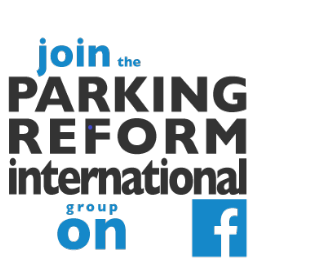 I also believe that GFA exemption for parking is an important issue that has not had enough research or policy thinking. "Does parking space count in allowable floor space? parking that can be fitted into the design. some extra parking over and above required parking. incentive to provide extra parking. like other real estate (Ng 2009)." Hi, do you know the ratio between the old minimum requirements and the new maximums? Does this mean, the developer could built no parking at all if they want to (even though this is not thoroughly bright)? Very interesting article! Thanks for the insight.